Explain the primary functions of a wood-framed sloped roof, including four primary, code-based barriers for high-performance green and sustainable buildings. Define the common options for wood-framed sloped roofs related to ventilation, insulation, and current (2015) code requirements. Review the emerging research and 2018 code provisions that address new variations in unvented wood-framed sloped roof assemblies. Compare some of the different methods for providing continuous and integrated air, water, and thermal barriers in roof assemblies. High-performance wood-framed building enclosures often focus on wall designs, but there is an equal need and growing amount of attention on roof assembly designs. 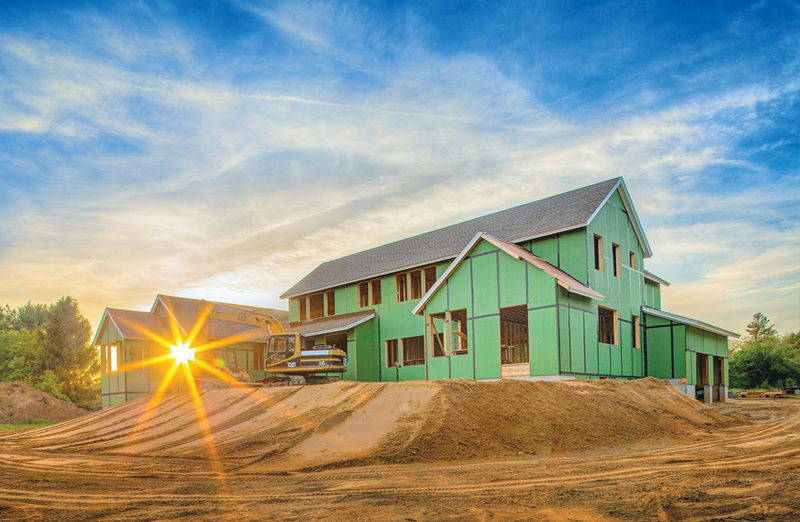 Matt Minchew has observed this quite heavily in his role as General Manager of ZIP System Roof and notes, “For the past 10 years, energy code cycles have focused on wall assemblies. Higher R-values, airtightness, reduction of thermal bridging, and condensation control has been emphasized in the energy code.” He goes on to point out the shift, stating, “Recent code changes have begun to influence roof design to emphasize the same assembly functionalities. Methods to achieve unvented attic assemblies are evolving and bring attention to the need for proper detailing of moisture, air, thermal, and vapor control.” In essence, he is reminding us that all of the same concerns for providing the appropriate barriers in wall assemblies are equally important as part of good roofing design in wood-framed buildings too. 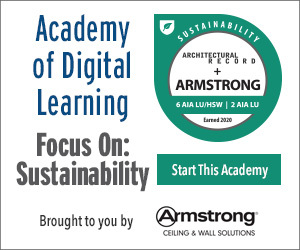 Therefore, in this course, we will focus on wood-framed roof assembly options, some of the building science principles that influence good roof design, and some of the emerging options recognized in the International Energy Conservation Code (IECC), International Residential Code (IRC), and International Building Code. Wood-framed sloped roofs need to provide all of the same functions as exterior walls, if not more so, including weathering, thermal resistance, air barriers, and moisture control using vapor retarders and ventilation. Wood-framed sloped roofs have been a common means to provide shelter and protection from the weather for centuries. The methods of construction have included everything from simple “lean-to” structures to post-and-beam framing, spaced rafter framing, and most recently engineered wood trusses with engineered sheathing. Beyond simply providing structure and covering, however, wood-framed roof design has evolved in recent times in several important ways. Perhaps the most notable is the need for higher thermal performance to meet energy conservation and comfort demands. That has included not only accommodating more insulation but also providing air barriers to control unwanted air infiltration or drafts. Related to that is the control of airborne moisture or vapor that needs to be restricted to keep it out of roof construction or allow it to dissipate away when needed. Of course, water drainage is needed for bulk water too, not only in the form of precipitation but also from the melting of ice dams or other cold-weather concerns. 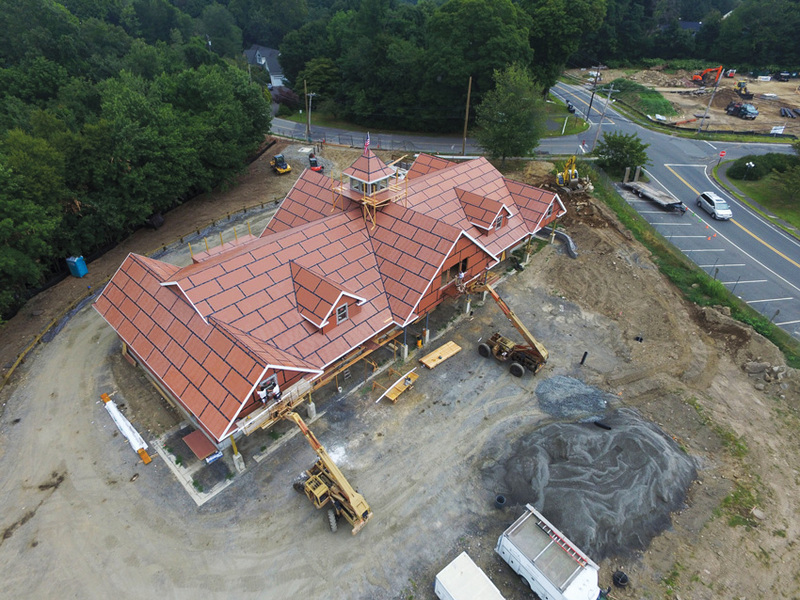 Holistically speaking then, wood-framed roofs are no longer just a structural item but need to be seen as a complete, coordinated assembly to provide at least four barriers—one each for water, air, moisture, and thermal control. The difference between a successful roof system and one that falls short is the ability to create an unbroken line of defense in all of these four barriers. Achieving that objective requires more than just a note on the construction drawings calling for these barriers to be “continuous.” It requires proper design and detailing of the roof assembly conditions, which means the person doing that detailing needs an understanding of the fundamental building science and physics that contribute to a successful design. Building codes take advantage of some of that building science and establish minimum requirements for typical roof construction systems. However, the codes don’t do the design of a particular roof system—that’s the role of the design professional. Successful roofing systems need to address barriers and proper ventilation in a truly continuous manner. Another recognized key to a successful roof system is having a backup means to prevent damage in the event water or moisture does breach the barriers. Unanticipated water can cause wood to rot or otherwise deteriorate over time, render some insulation relatively useless if it becomes even partly saturated, and drain into the rest of the building causing additional damage. Commonly, the backup means to prevent this is done by providing ventilation (i.e., as in attic spaces) or using assemblies that create a drainage plane for water to drain away harmlessly. Once again, the building codes have some specific requirements to be sure this is addressed in the interest of protecting the integrity of the structure and the rest of the building, but they do not purport to design the means to achieve it in any particular project. In the quest for a source of reliable information and assistance on better building assembly design, it is not uncommon for architects to turn to independent consultants or specialists. One such independent source is Peter Yost who is vice president of building performance for Building Green in Brattleboro, Vermont, and technical director for Taunton Press’s GreenBuildingAdvisor.com. Yost has more than 30 years of experience in building, researching, teaching, writing, and consulting on high-performance buildings. His work includes both academic and vocational instruction, field research on building products, building investigations, construction document review, and technical research and writing. A LEED AP, he is a past co-chair of the USGBC’s LEED for Homes program and a certified instructor/course author for the NAHB Advanced Green Building: Building Science certificate program. Yost is also a lecturer for Yale’s graduate program in Forestry & Environmental Studies, an instructor for the Boston Architectural College’s Sustainable Design Certificate program, and research associate with the University of Massachusetts Department of Building Construction and Technology program.